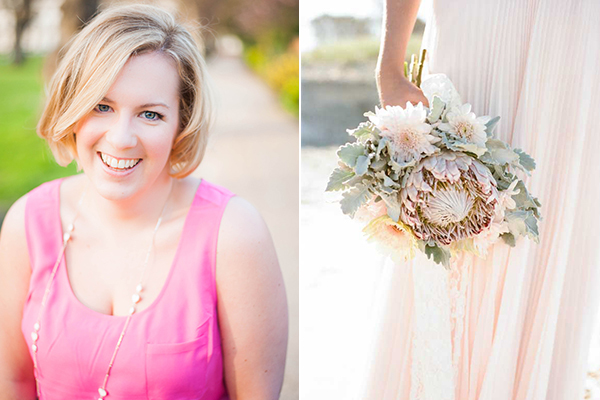 It is such a pleasure today to have on “Bloggers say I do” the lovely and talented Megan from Glamour & Grace, a gorgeous wedding blog that offers beautiful inspiration for the modern vintage bride! 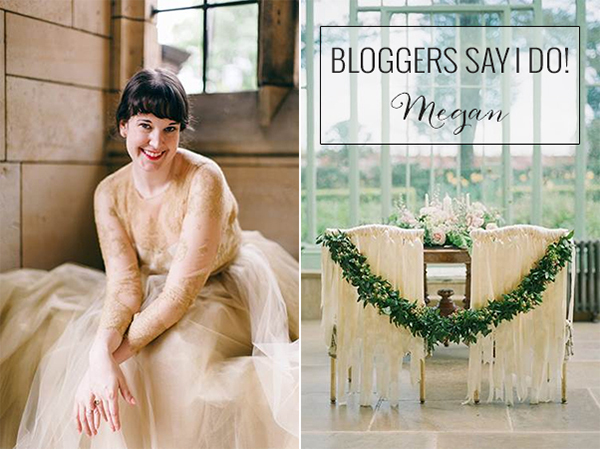 Thank you so much Megan for sharing your thoughts with us! 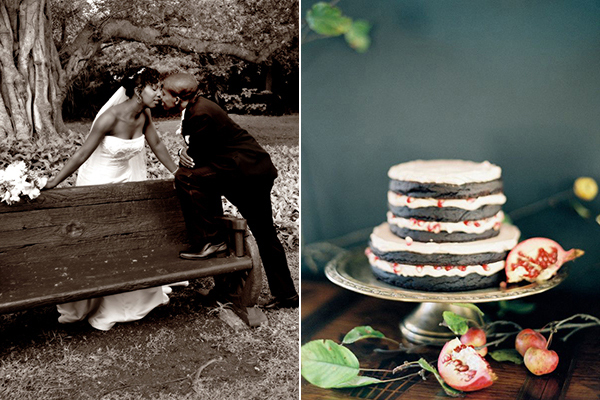 “I was married back in 2009 and knew exactly what I wanted and loved the way it turned out then. 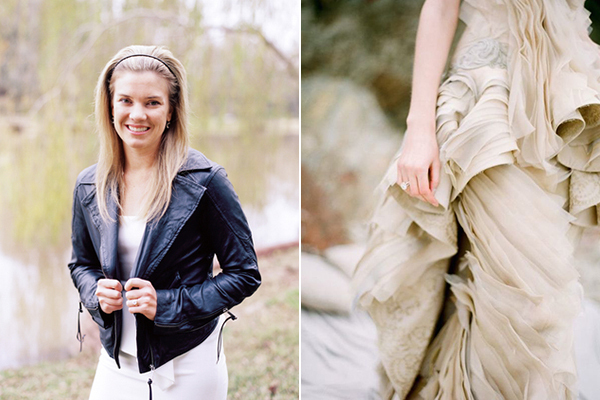 After the wedding, I couldn’t stop looking at blogs (this was back when there were only a handful out there). I finally decided to take the plunge and make my own and that’s how Glamour & Grace was born. I have often wished that I got married now because I know so much more and there are so many more options available than when I got married. 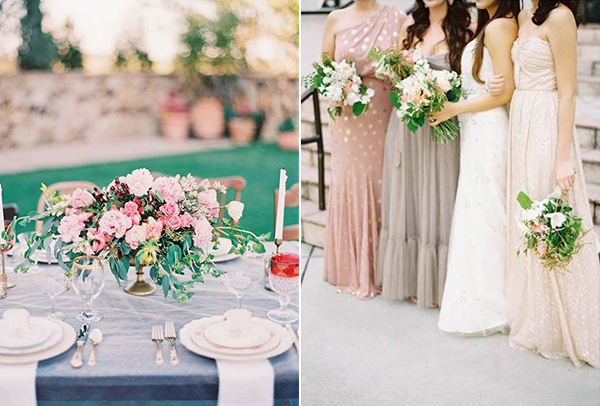 I was super excited to get to really think and reimagine what my wedding would look like today! 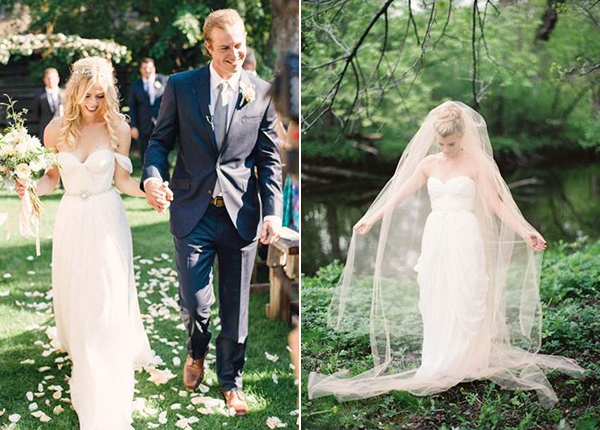 When I got married I went very vintage glam and classic. If I were to plan it now, I would go more soft and romantic. 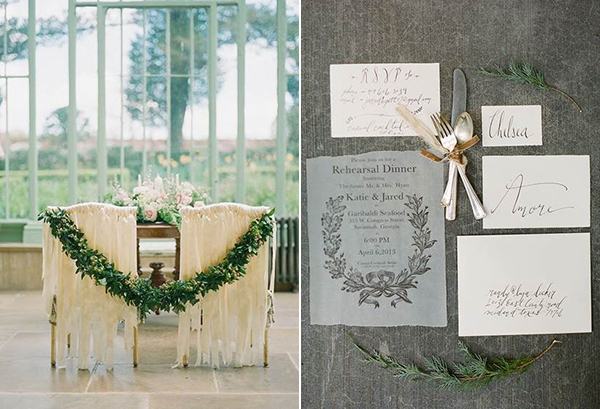 Lush florals, lots of greenery, candles of every size, and pretty calligraphy details. I definitely wasn’t as in love with paper goods as I am now and I would definitely have a beautiful calligraphy invitation. 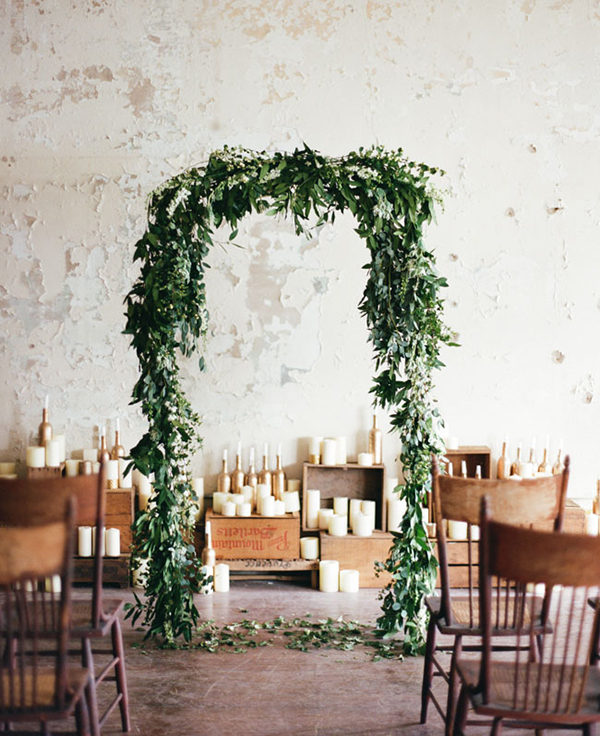 I am also obsessed with chair details and love when they are wrapped in garlands! I really love spaces with character so would look for an older building that I could highlight with greenery and candles to create a simple and romantic setting. 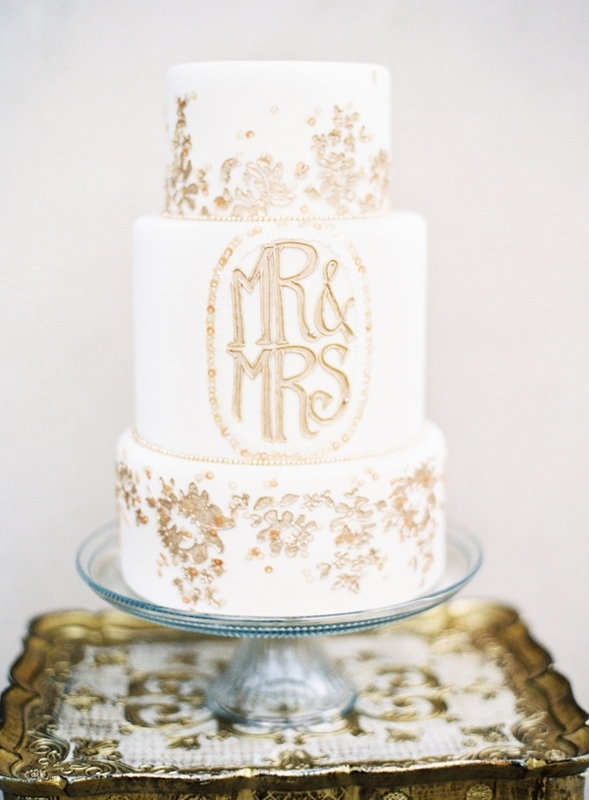 I liked my wedding cake, but I am really loving all the gold painted cakes lately. Obviously the taste is what matters most. Mine was strawberry champagne (the cake was soaked in champagne, yum!) and it was super tasty I think I would keep it the same. 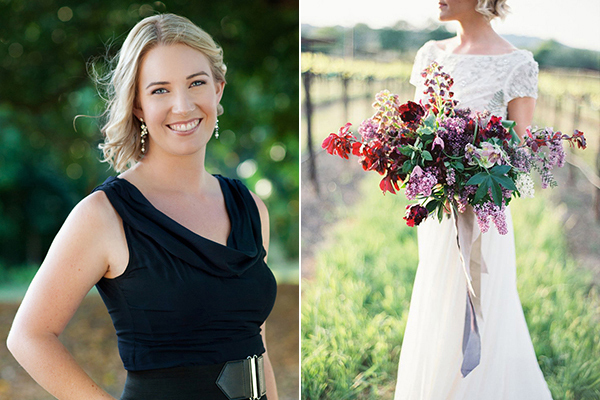 I love weddings with meaningful and handmade details. 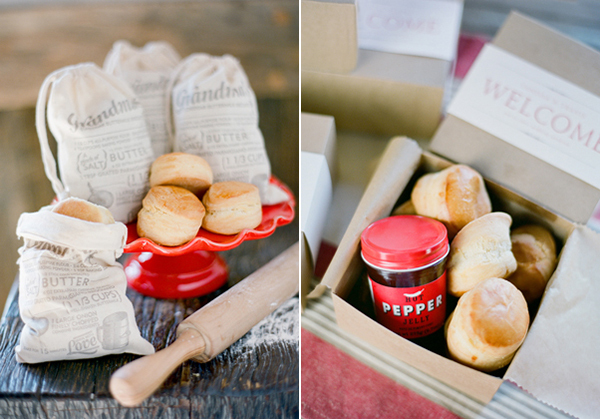 These biscuits in a bag with grandma’s recipe printed on it are right up my alley. The perfect way to give guests a yummy treat, tie it in with a family favorite, and give them a way to make it themselves at home. During our cocktail hour we had dominoes for guests to play as a nod to my husband’s Cuban heritage. 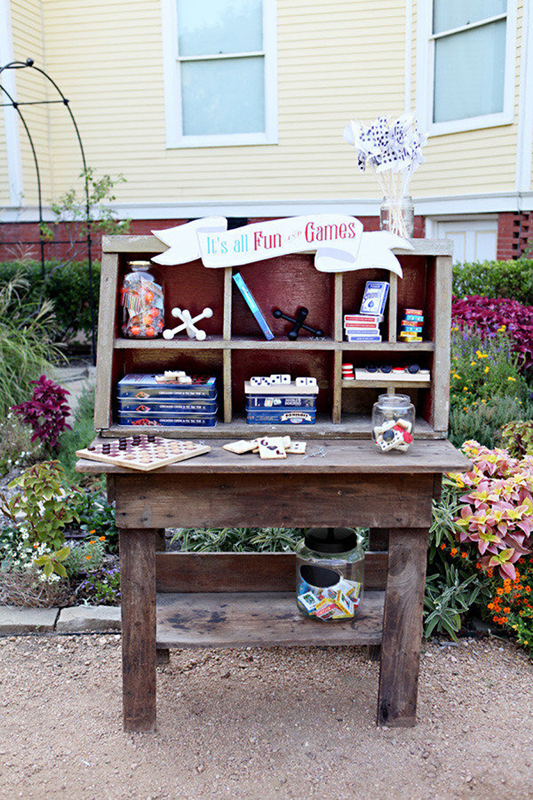 I still really love this idea of giving guests games to play and think it’s a fun way to keep people entertained. The Mr and I both love cooler weather and mountains (opposite of our native Florida), so we would love to go up to Canada. Lake Louise is such a gorgeous area and it would be fun to relax and enjoy the scenery. 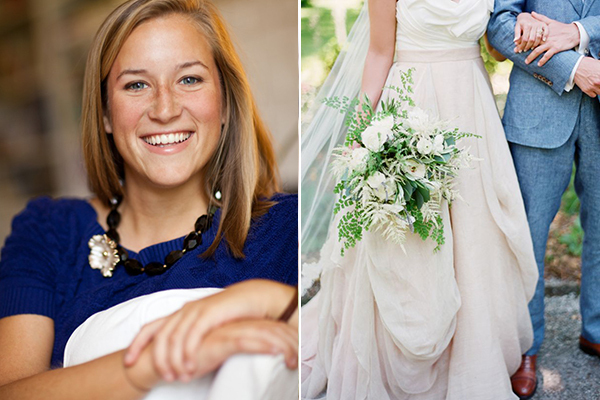 Visit Love4Wed’s profile on Pinterest.